Sometimes certain (video) content should only be available for a limited period of time, to facilitate this one of the features of the Kaltura video system is the option to publish your video for a limited time (by default your video is published perpetually). To make use of this option you can either set this option during creation or afterwards by navigating to the video you wish to publish for a limited time and editing its settings. Scroll to the bottom of the video. 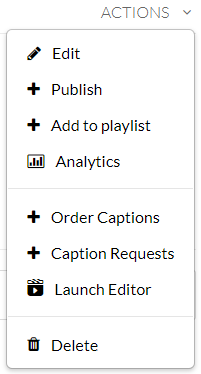 Press the ‘actions’ menu to the right of the screen and choose ‘edit’. In the ‘Details’ tab, scroll to the bottom of the page and select ‘Specific Time Frame’ and enter your schedule. We have added a new tool to the videoportal for captioning your video. Captioning is useful in various ways by making your video accessible for the hearing impaired as well as making your video more searchable as captions are also indexed by web-crawlers which ‘crawl’ the internet on behalf of search-engines to find as much information on a URL available as possible. The tool automatically creates captions based on the audio and allows you to edit the captions and their timing afterwards which is a required step as mistakes can and will occur in the automatic process due to sound effects, music, mispronunciation, accents and through other means (the system however is very good). And to have a extensive draft to work from and only having to correct any mistakes and timing issues is a lot less work than you would have if you had to create everything from scratch. That said we are very happy to introduce this new system! For more information on this new tool we have written a guide (available in English as well as Dutch). 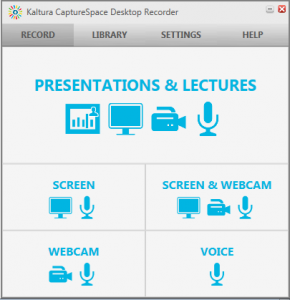 Capture space adds the option to create various forms of recordings previously unavailable to you. Now you can record solely your voice, make a webcam recording, a screen recording (with or without your webcam) as well as record your presentations (PowerPoint for instance) and lectures with multiple camera angles and a microphone input. Aside from offering these very powerful options for recording, the software also immediately allows you to edit your recording prior to uploading the video (or saving it locally). 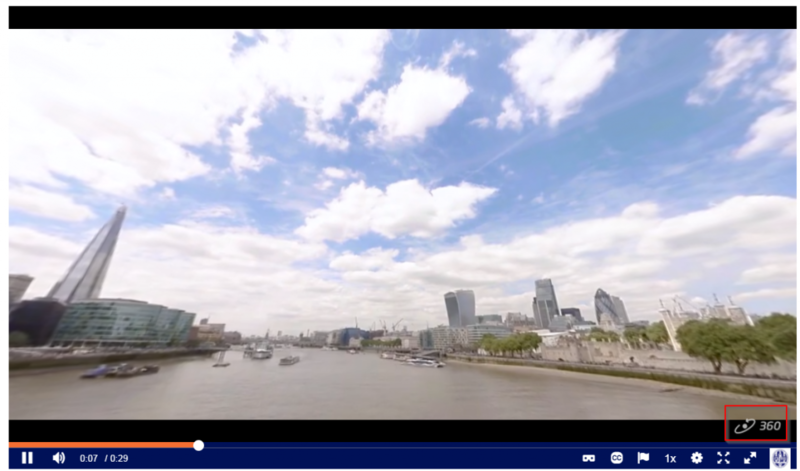 The Leiden University Kaltura video player now supports 360 videos! How do I use this new feature? Just upload your video the way you usually do. When the system asks you to fill in your metadata don’t forget to tag your entry with the tag ‘360’. You can, of course, add more tags. As long as the ‘360’ tag is in there. Tagging the video this way let’s the system know it needs to use the special 360 video plugin to play your video. Now, when you play your video, you’ll see some minor changes to your usual video player. Notice the special ‘360 video’ watermark in the right bottom corner. This mark let’s you know you can use the special 360 enabled features! The ‘360 video’ watermark lets you know your video is 360 enabled. You can either use your mouse to drag the video in different directions or you can use the WASD keys on your keyboard.